> Songwriting 2019 - „A Place to Be"
> Protestants 2017 - theme-song: "Vive la fraternité"
„A Place to Be" - the eighth edition of the ESS-Seminar will be performed at Chateau du Liebfrauenberg/Goersdorf/France: 22/08 to 25/08/2018. We will write new songs, arrange and record them straight away. With five tutors from four countries and four mobile studios we will have best possibilities to provide you a very high standard of support. And Chateau du Liebfrauenberg is surely one of the best places to find inspiration. You don't have to be a professional to join in. Many have written their first song here and some have succeeded to get into the Paul McCartney Academy in Liverpool, to record their own CD or to win a prize. And yet this is not the first motivation. The most important thing is to create a place where musicians from all over the world with different musical styles can get together and create something new. Knowledge about chords and some skills in playing an instrument and in lyrics writing are quite useful of course. But basically you just have to be motivated to do it. There are people from the UK, France, Swiss, Germany, Italy and possibly more countries. So we will speak mainly English, but also some French, German - sometimes just music will do. This is no casting, we will really support you and we will work under the umbrella of grace. All songs will be published on a website and there are concerts in preparation for October. 395,- € over 27 in single bed room. After his instrumental-CD Mehrsaitig the German singer-songwriter Jonathan Boettcher has now recorded his new song-album at DH Records. 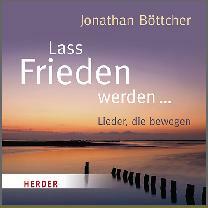 The centerpiece is the title track „Lass Frieden werden" with the english version „Let peace be strong", co-written and interpreted by Paul Douglas. - Chris Brandon No.1 at Amazon USA with „Rhineland to Graceland"
„Rhineland To Graceland" appeared in August 2017 with lyrics by Ryan Presley, a relevant of the King, music by Chris Brandon, who is also singing this song. 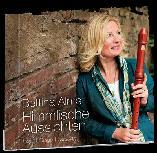 Produced and recorded by Gunter Hauser at DH-Records. The music career of Chris Brandon began with the radio hitsong „Smile Smile". Producer Jack White contracted the blind singer with a touch of Tennesee in his voice. Later Chris produced in the Sun-Studios in Memphis. „Rhineland to Graceland" appeared on the 11/08/2017 on many download- and streamingplatforms and reached No.1 at Amazon USA and No.2 at Amazon Germany in „Contemporary Folk". DH Records is offering special high quality CD-Mastering including mix-advice! Finishing a CD is all about best sound possible, not just maximum loudness. A quality mastering needs a lot of experience and the painstaking application of the most suitable tools for each individual recording. Here you get convincing dynamics instead of automated standard compression. And this service includes high profile advice for your mixes - if you want. - YouVent 2017 title-song: "Du schreibst Geschichte"
- Protestants 2017 - Theme-Song: "Vive la fraternité"
In 2008/09 Spirit'n'Jazz has achieved some exceptional placements with tracks from their CD "Can you see…?" For 30 months different tracks from the CD "Can you see…?" have been in the Top 10 of "World´s Cool Jazz" in Florida. After "Yule Tied" had been on No.1 for 18 weeks, "Do You Feel It" directly followed for 12 weeks. "China Sunrise" has been the third No.1 in April/May 09 before "Information Politics" went to No.1 at WCJZ in Oct. 09. Three further No.1 placements appeared on InstrumentNetwork.com until December 2008 by the tracks "Voice of Reason" and "Information Politics" in their various forum-charts. At Radio QFM Tenerife "Treasure" has been on No.1 for four weeks and "Two" and "Life Dance" both went up to No. 2 in spring 2010. 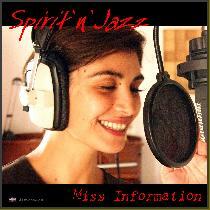 All together there have been eight No.1 placements of Spirit'n'Jazz-tracks in 2008/09/10 backed up by more top ten positions. In January to May 2011 Spirit'n'Jazz have been placed on No. 2 and 3 of the album charts for Nu-Jazz at JazzMatrix.com. On Coast-FM in Gosford/Sydney/Australia the track „Where are you?" has been in the "Top 2010". And at QFM Tenerife „Yule Tied" from the CD „Can you see...?" has been amongst the „all time favourites" of chilled jazz tracks. 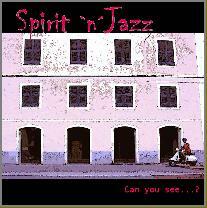 German National Radio programmes combining tracks from "Spirit'n'Jazz" with valued classics. SWR2 has played "So you got hope" next to works of Franz Schubert and W.A. Mozart. And HR2 has combined the track "Time with Laura" with works of Ludwig van Beethoven and Georg Friedrich Händel in one programme hour and is continually playing this track in their standard repertoire. Similarly Deutschlandfunk Berlin has combined "TWO" by Spirit'n'Jazz and Mozart´s "Requiem d-minor" performed by the Berlin Philharmonics Orchestra conducted by Herbert von Karajan together in one programme called "Corso" on the 10.07.2010. And the track "TWO" is in their standard program. DH Records says "Thank you" for the implicit valuation. More interviews have been produced for Ric Mancuso´s `Nighttracks´ at KMHD/Gresham/OR/USA and for Gallery 41 in San Francisco with Ron Pelletier. In November 08 Spirit'n'Jazz have been releasing a Single that addressed the global financial crisis. And this has jumped on No.1 straight away at QFM Tenerife/Spain and stayed there for four weeks. - GTown-Radio, Philadelphia, PA, USA, „Anderson Taped"
- KFUO Classic FM 99, St. Louis, MO, USA, „I love Jazz"
- KMHD, Gresham, OR, USA, "Nighttracks", interview, „Saturday Night Jazz"
- KUVO Radio, Denver, CO, USA, "Drive Time Jazz"
- WCVF FM, Fredonia, NY, USA, "General Eclectic"
- WVST FM, Richmond, VA, USA, „Just Jazz"
- WXJZ-FM Gainesville, Florida, USA, Alan Olmstead: „Kaleidophonic Jazz"
- Urgent.FM, Gent, Belgium, „worldservice"
- Radio Hoogeveen, Hoogeveen, Netherlands, "Afterdinnerjazz"
- Reddog Medias, Paris, France "Jazz on Air"
- SmoothJazzNow.com, Calgary, Alberta, Canada, "high rotation"
- Punto Radio Cascina, Pisa, Italy, "Anima Jazz"
- QFM, Tenerife, Spain, on „high rotation", Top 10 + "all time favourites"
- FM 101,7 Sevilla, Spain, „Jazz en el aire"
- Deutschlandradio Berlin, Germany, "Tonart: Lounge"
- Deutschlandradio Berlin, Deutschland, "Corso", Interview „Treasure"
- EMS-Vechte-Welle, Lingen (Ems), Germany, "Roundabout"
- LORA 92.4, München, Deutschland "Musik der Kulturen: Global Sounds"
- MDR, Leipzig, Germany, „Take Five"
- NDR, Hamburg, Germany, „Play Jazz"
- Radio Bielefeld, Germany, „Die Vinylbesessenen"
- Radio Bremen, Germany, Nordwestradio "Highlight"
- Radio Corax, Halle/Leipzig, Germany, „Planet Sounds"
- Radio Darmstadt, Germany, „Journey into Sound" + „Treffpunkt eine Welt"
- Radio Dreyeckland Freiburg, Germany, „Jazznews"
- Radio Lippeland, Lippstadt, Germany, „Soundtracks"
- Radio Okerwelle, Braunschweig, Germany, „Wundertüte" + „Mittagsjournal"
- Radio Ostfriesland, Aurich/Emden/Leer, Germany, „Jazz Corner"
- Radio Unerhört, Marburg, Germany, „Jazz-Zeit: Neues vom Jazz"
- Radio Weser TV, Germany, „Der JW-Jazzpoint" + „GlobalRadio X-perience"
- Radio X, Frankfurt/Main, Germany, „Funky Fresh"
- RBB Kulturradio Berlin, Germany, „Zeitpunkte"
- SWR 2, Baden-Baden, Germany, "Morgenjournal", „Dschungel", „Musik Spezial"
- UniRadio Berlin, Germany, „Planet Sounds"
- Wüste Welle, Tübingen, Germany, „Libresso"
Spirit'n'Jazz - Can you see...? 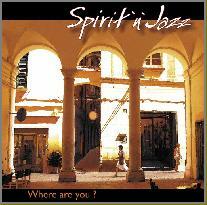 Spirit'n'Jazz - Where are you?